Optuma: Recommended for professional technical analysts & frequent traders, who value a slick interface which operates well with Bloomberg feeds and terminals, and the best Gann Analysis toolset on the market. 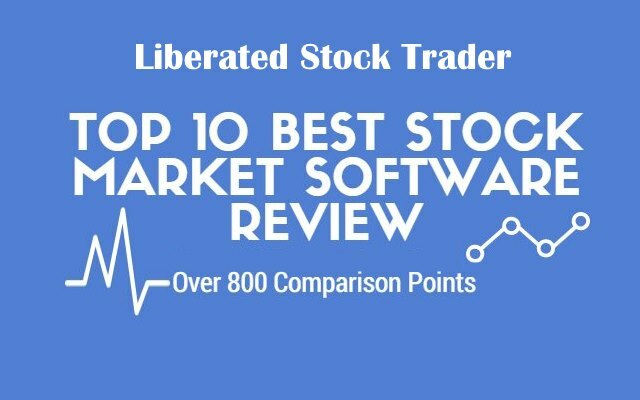 Optuma by Market Analyst has been in the market for over 20 years and they cater to individual investors as well as to fund managers and are a big hit with their customers due to their constant innovation, original charting and powerful technical analysis. Optuma is at the top end when it comes to price and you will need a powerful PC to run it, but with IQFeed, GFT and MT4 data integration’s, great customer services and the full range of instruments covered (Stocks, EFTs, Mutual Funds, Options, Futures, FOREX, Bonds) for the premium price you get the premium package. Optuma is a super slick technical analysis platform, designed for professional technical analysts in the Financial Industry. However, is also priced to appeal to individual investors and traders. Starting at a very reasonable $82 per month for “Optuma Trader”, you will get end of day data from 5 country groups, which is more than enough. Stepping up to “Optuma Enterprise” at $207 per month adds lots of unique features like Market Intelligence Charts, Full Relative Rotation Graphs (RRG), 3D Charts, Regression Charts and importantly Quantitative Signal Testing. With Optuma connected to your Interactive Brokers account you will get all the functionality you need to Trade off charts and the advanced portfolio tracking and measurement. You will need to open an Interactive Brokers account, but why not as interactive brokers are widely considered to be on of the best and lowest cost stock brokers out there. Optuma is squarely aimed, as you can see from the price, at professional traders and wealth managers. Their clients are tier one Wall Street investment houses. But you can still take advantage of their first class solution. If you have a Bloomberg feed already established this also offers a new world of data and fundamental analytics. This slick integration of fundamentals into the charting and analysis means this is a significant improvement over a Bloomberg terminal and warrants it as a clear leader in this space. You can build watchlists with fundamental data and everything operates real-time, advanced scanning includes an excellent 3-dimensional sector map. If you can afford or have a Bloomberg feed then you will get the top end real-time market data you need. You can also publish are share ideas among your team or work group allowing improved collaboration through the chat functionality. Another perfect 10 for Optuma. A fantastic array of technical indicators (400+) and drawing tools. There is a rich choice of chart types, of course, bar, line, candlestick, but many more such as Point & Figure charts. 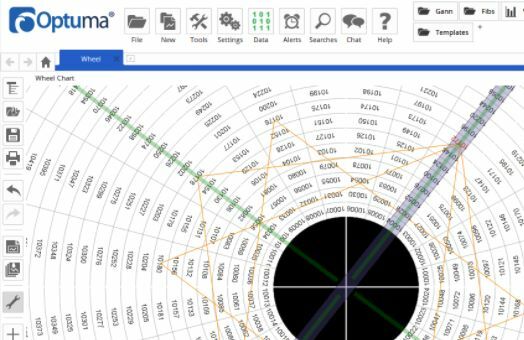 Optuma also specializes in Gann tools with a full suite including Gann Grid Lines, Gann Fans, Gann Swing and even square of nine charts. In terms of indicators, they have the best selection on the markets, included are Elliott Wave and Darvas Box, Ichimoku & Parabolic SAR, in fact, the full set of exotic indicators are present. To top it off they have also implemented an excellent astrological analysis suite as an upgrade for those of you who believe in that sort of thing, yes commodity traders I am talking about you :). Also, some really nice charting benefits are the market depth in the price scale of charts which is unique. Market Analyst has back-testing well covered also, with a well-implemented backtesting and system analysis toolset which is up there with the industry leaders, but unlike the others, you do not need a Ph.D. in mathematics to set up and test your system. The advanced programming language which connects all of Optuma together is simple to use and there are many detailed and helpful videos available so you can also teach yourself. The code runs lightning fast and you can scan entire markets quickly and effectively. The quality of the backtesting and advanced statistical analysis is due to the fact the CEO Mathew Verdouw and many of the development team are certified Chartered Market Technicians (CMT) and Certified Financial Technicians (CFTe) like myself. So the quality of the testing tools is first class. Optuma requires a High-End PC workstation to function at speed, but if you are a serious trader this should not be a problem. Also, Optuma is at home on touchscreen devices using multi-touch to allow you to manipulate charts intuitively. The interface, the shortcuts, the whole thought process implemented into Optuma does warrant a good score in an important section. They also have an extensive video training library which is very valuable to the new customer.